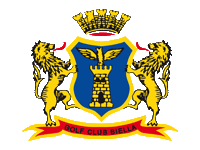 Golfguide - Golf Club Biella "Le Betulle"
It has won Best golf course in Italy for many years and I can tell you it will not disappoint you. Rory won on this golf course. Everyone from the old generation to the new ones love coming to play here because the Course puts to the challenge any level golfer. The front nine are more various while the second nine are more similar to each other. The hole that I will always remember is the par 5 with rocks in the middle of the fairway. There are many trees surrounding the holes so hitting it straight will definitely help you. It's a par 73 so you will have plenty of birdie chances on par 5s. The greens are a little hard for pitching, chipping and putting. Just an amazing Course to play. One of my favourites in Italy. Located in the north east of Turin, the course plays to a respectable 6500 yards from the tips and presents a stern test. It's a par 73 so there are ample par 5 scoring opportunities, but there are plenty of strategic bunkers, rocky outlets and lots of water on hand to ruin the card. A fiddly course but well presented. Lots of doglegs to contend with so you need to be able to work your ball both ways. Bubba would love it. Von Anfang bis zum Ende super. Personal, Platz einfach alles stimmt. Für mich der Beste unter den gesamten Top Plätzen der Region. Super Golfplatz. Viele Bäume und schwere Schläge in die Greens. Diese sind meistens erhöht. Top Platz.